So Christmas has been and gone and we find ourselves at the start of a new year but are there actually any good movies out this week? Well it’s far from the best start to the year but the UK does have four new releases including the crime, drama All The Money In The World. These are the cinema releases for January 5 2018 in the United Kingdom & USA. I hope you all had a great Christmas and watched lots of great films on the television or at the cinema. I’ll watch the latest instalment of Insidious but that’s only out next week in the UK. Nothing else really stands out but I may give Hostiles a go if I have time over the next few days otherwise I have more than enough exceptional Blu-ray titles from Arrow Video, Indicator and Studiocanal to still watch. 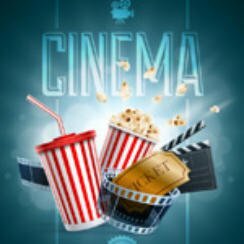 In fact you can find out more by taking a look at the Popcorn Cinema Show Blu-ray Awards 2017. Cinema Releases August 10 2018 – Are you ready for The Meg?